Europe’s multi award-winning range of safety helmets by ENHA are now available in the UK and Ireland thanks to worker safety specialist Alpha Solway, part of Globus Group. 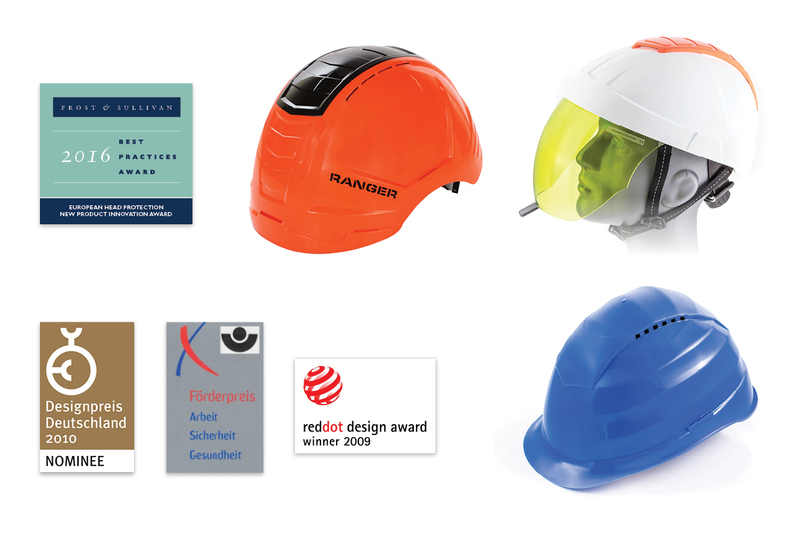 A well established and respected innovator in head protection across mainland Europe with a reputation for quality and performance, ENHA’s extensive range of safety helmets has been designed to provide protection for workers across multiple sectors including construction, utilities, manufacturing, engineering, metal working and forestry. The new innovative range of hard hats provides safety managers with a fresh opportunity to reinvigorate the head protection provided to workers. Designed and manufactured in ENHA’s German facilities, using cutting edge technology and production techniques, all ENHA helmets conform to EN 397 having been tested under different temperatures between +50°C and -30°C. Products available include the state of the art, Ranger safety helmet, featuring a patented, double walled impact absorption system - Crashbox. Proven to transmit significantly less energy to the suspension harness in the event of an impact from above, Crashbox absorbs the impact energy, not the user. As a result, Ranger helmets have revolutionised head protection across Europe. The Ranger is joined by the specialist E-MAN range of safety helmets. These also include the Crashboximpact absorption protection system and are designed specifically for electricians and electrical engineers operating in workplaces where the hazard of an electrical arc flash extends up to 7000A. Wider solutions include the Rockman series of safety helmets, offering a range of features including excellent energy absorption impact rates, increased neck protection, self-releasing chin straps, high level comfort and a matt finish to the top of the helmet to prevent the appearance of scuff marks when not in use. There is also a range of specialist Rockman solutions available for those working in engineering and metal working environments where risks include excessive heat, light and molten metal. This is joined by a range specifically designed for forestry workers which includes sets that combine head, eye, face and hearing protection. All of the helmets across the ENHA range are manufactured using premium ultraviolet (UV)-stabilised granulate, minimising any impact on performance that heat, cold and sunlight can have on traditional helmets. For added user convenience and safety, many of the helmets in the ENHA range are available with a ratchet system that allows wearers to easily adjust the helmet using a single hand – even when wearing a safety glove. Steven Binnie, Sales Director for Alpha Solway said “We are thrilled to be launching the ENHA head protection products into the UK and Ireland. A truly comprehensive, high performance and innovative array of solutions for safety managers and workers across a wide range of industry sectors. To find out more about the ENHA range of head protection visit https://try.alphasolway.com/enha-helmets or call +44 (0) 1461 202452 or email sales@alphasolway.com.